Click here to find out how you can enter the giveaway for a chance to win this custom travel mug filled with goodies! I’m going on a book tour with Love Lies Bleeding & Blood Magic! The tour will run from 2 October to 2 November and will include a pretty sweet (if I say so myself) giveaway prize (details to come). Are you a blogger or do you run a Facebook page, and want to be part of this tour? Sign up at Silver Dagger Tours! Thanks to a few well-known tipplers (coughHemingwaycough), writers have something of a reputation for indulging. Though that may be more stereotype than reality, over the years certain bars and cafés have become linked with the literary crowd who’ve gone there to eat, drink, socialize, and occasionally write. Inspired by a recent LitHub article featuring 35 Literary Cafés. I thought I’d share a couple of them here, as well as adding some the list missed. Café Tortoni, favourite of Jorge Luís Borges and Alfonsina Storni, whose wax figures permanently share a table there. Antico Caffé Greco in Rome has served Lord Byron, Percy and Mary Shelley, Hans Christian Andersen, and Nikolai Gogol, among others. The Elephant House in Edinburgh makes the somewhat dubious claim of being the place where J.K. Rowling started Harry Potter. Whether true or not, it’s become popular with fans. The Park Hyatt Roof Lounge (currently closed for renovation) has been frequented by many writers, artists and celebrities over the years, including Margaret Atwood and Leonard Cohen. Sneaky Dee’s is a Toronto institution that has attracted droves of indie types–including writers–over the years. Bryan Lee O’Malley used it as a setting in Scott Pilgrim vs the World. Winnie’s Bar (1455 Crescent St, Montreal) was a favourite of Mordecai Richler. They specialize in alcoholic coffee (my kind of place). Writers unknown, famous, and infamous have always populated cafés and bars all over the world. Comment and tell me which ones you think deserve a mention. I recently read an article about 11 weird habits that all writers can relate to, and I’ve got to say they weren’t wrong. Dramatically staring into space while thinking about what my characters will do next? Check. Ending up on security watch lists thanks to my online research? Check. Losing track of time, dates, and reality itself thanks to working from home immersed in a fantasy world of my own creation? Check check. Reading the list got me thinking about my own odd habits, which I’ve decided to share. After all, as the article pointed out, writers spend a lot of time alone–why not take a moment to bond over our mutual strangeness? Telling Myself Stories to Help Me Fall Asleep: I’ve had trouble sleeping my entire life–the one thing that’s almost guaranteed to get me to sleep is telling myself a story in bed. It’s been the same story for a while now, with minor variations. Strangely enough this repetitive storytime actually does help with my writing. Every so often I’ll get an idea for a new character, or notice themes I should explore. Watching (a lot of) TV: Sometimes it’s background noise that works a lot like any other mindless activity (see above). Sometimes it’s inspiring, giving me ideas to consider. Sometimes it’s instructive, helping me with pacing, or seeing aspects to storytelling that do or don’t work. Sometimes it’s just entertaining, which is also important. Just a reminder: time is running out to enter my giveaway. 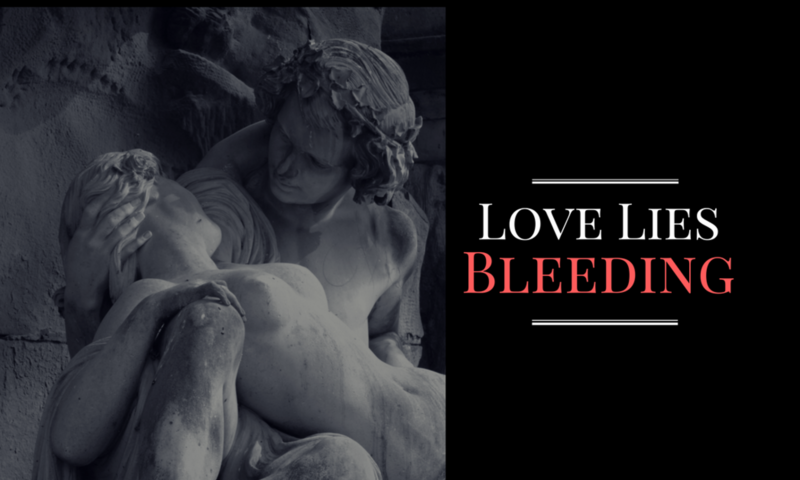 Want a chance to win a free copy of my dark fantasy novel, Love Lies Bleeding? Take a moment and enter.